Starring Chris Pratt among others, Guardians of the galaxy was such a fun film experience. It had moments of sadness, joy and laughter all mixed in. A great film if you like Marvel films or not. Full review here. The thriller of the year, Gone Girl was brilliant at creating tension and story telling. I really enjoyed this film and would say it's one of my favourite 'oscar' films this year. Full review here. I'm very late to the fun with this show but it's been one of the main shows I've watched this year. I really enjoy the show for when I'm feeling like wanting drama and a bit of comedy aswell. My boyfriend has got me watching south park from the beginning and I absolutely love it. It's incredibly clever, daring and topical but also hilarious to the point where I'm in tears laughing. I'm only on the beginning of season 3 of 18, I've still got a long way to go. My boyfriend and I have only really just started watching this, but I absolutely love it. It's heart breaking and makes you want to carry on watching it all night. I am really enjoying it so far. 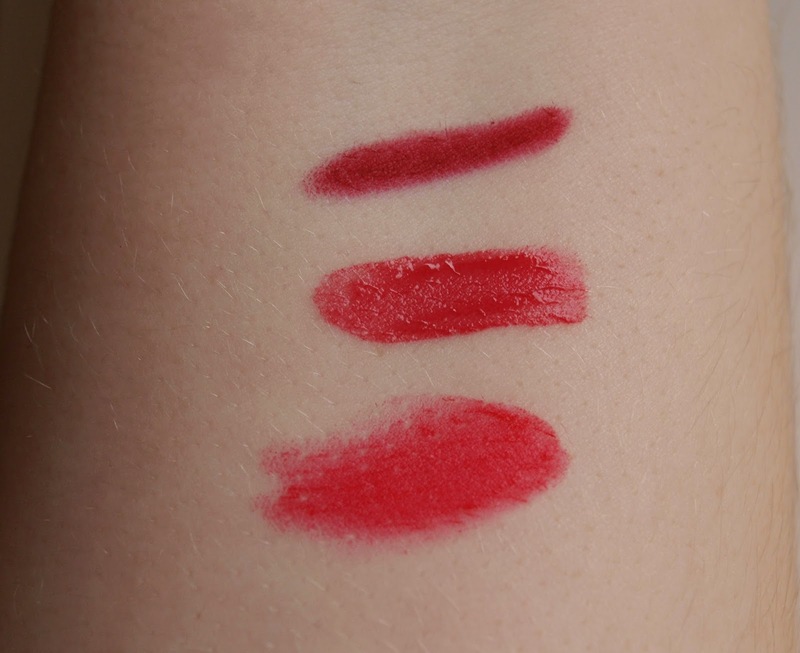 For beauty this year I've picked 3 lipsticks that have absolutely won me over. They are all creamy, long lasting and bright. I really love them. I bought this in my trip to London for Valentine's with my boyfriend and absolutely love it. It's creamy in texture, blue toned red so suits me perfectly and it lasts ages. Plus, the crayon type bullet makes it easier to apply on the go instead of a lipstick. I've managed to apply it perfectly on the bus before with my iPhone front camera as a mirror. One of my favourite purchases of the year was this Velvet Matte lipstain in Frambourjoise. No, I don't know how to pronounce it but it's amazing quality and worthy of high end price tags but it's less than £10. It lasts bloody ages. I've ate, drank and kissed with it and it's not budged. Probably my favourite purchase of the year! This product is rich, creamy and feels luxurious on the lips. I love the colour, it's slightly pink, slightly red but absolutely gorgeous. It doesn't last as long as the other lipsticks here but it's really nice to wear in the daytime. What's some of your favourites from 2014?